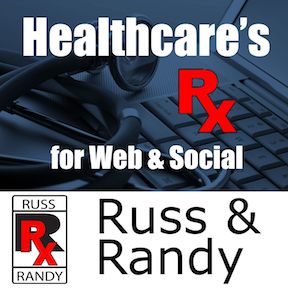 Russ and I recently talked about repurposing (or recycling) your website content. One easy way to repurpose content is by creating a screencapture video. We talk about some easy tools to help you get started. If you already own and computer or laptop, chances are you may already have all the tools you need. Creating video of content (e.g. Power Point) you have already created is a great first step to repurposing and familiarizing yourself with a new medium. We give some tips and recommend a few programs along the way! Your online reputation if vital to your practice. It's imperative that you are aware of reviews and comments about your practice and yourself. There are dozens of places which comprise your digital reputation, but how do you find them all? Here are a some easy ways to automatically monitor the Internet and review sites to keep track of your reputation. About 50-75% of doctors do NOT stay with their first job for a variety of reasons. Many times, the doctor will move to a new location just outside of the restrictive covenant. How can your patients easily and quickly find your new location? Here are a few tips to get your new contact information on the Internet...and found by your existing patients. Organic traffic to your website is the best for growing your practice, but is there value in paying for traffic such as pay per click (e.g. Google AdWords), YouTube ads or Facebook boosts? You may be surprised to learn why we feel Facebook outweighs the others because of its ability to target an audience so much more effectively than the others and is why we feel "paid advertising" may be worth some of your marketing dollars!